Before going on, we would like to thank you all that participated in this challenge. It’s totally inspiring see how people from many different places around the world share the same motivation, spending time on resolving a small challenge. Daniela Sfregola with a 50 tick/7 lines solution. Congratulations! Yours is the Scalera t-shirt and our acknowledgement. Antes de nada, quisiéramos daros las gracias a todos los que habéis participado. Es totalmente inspirador ver como personas de distintas partes del planeta que comparten una misma inquietud, invierten su tiempo en resolver un pequeño pasatiempo. Daniela Sfregola con una solución en 50 ticks/7 líneas. Enhorabuena, tuya es la camiseta de Scalera y nuestro reconocimiento. Before getting affectionate, we wanted to share with you some figures about current year. …published almost 40 posts (76 including translations). …with 187 visits per day at the most visited post. And all thank to you. Besides, we got lucky and counted on Javier Fuentes collaboration, as you can see at his awesome post about Shapeless (we still owe him some beers). 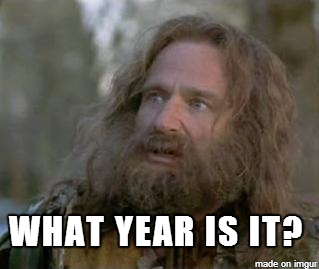 And for next month, we have nearly arranged some other post with another Scala crack. Now we re going to take a little but well-deserved christmas break. We promise to be back next year with fully charged batteries and new ideas. Antes de empezar a ponernos cariñosos, queríamos hablar de cifras de este año. …publicado casi 40 posts (76 incluyendo traducciones). …con 187 visitas al día en el post más visitado. Y todo ello gracias a vosotros. Además, hemos contado con la colaboración de Javier Fuentes para un excelente post sobre Shapeless (aún le debemos unas cervezas). Y para el mes que viene tenemos otro post pactado con otro crack de Scala. Ahora toca tomarnos un breve pero merecido descanso navideño. Prometemos volver para año nuevo con las pilas cargadas y nuevas ideas. 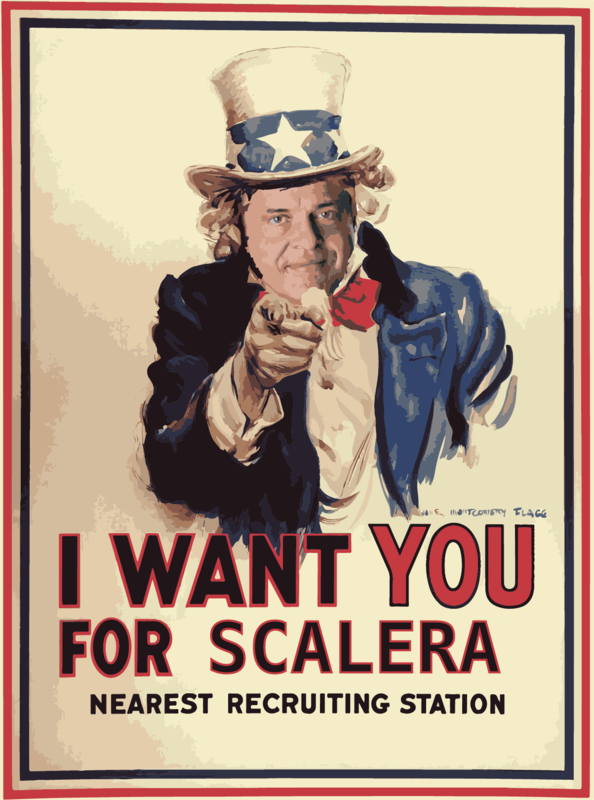 If you fit into puzzles basic requirements (age from 0 to 99+) and you master (or only know a bit about) Scala and you have crazy ideas to share: we want you. Given the awesome welcome that the blog has experimented among people, we would like to get you even more involved. That’s why we propose this initiative to look for new collaborators that really aim to share knowledge, practical ideas, common problem solutions related to Scala and its environment. 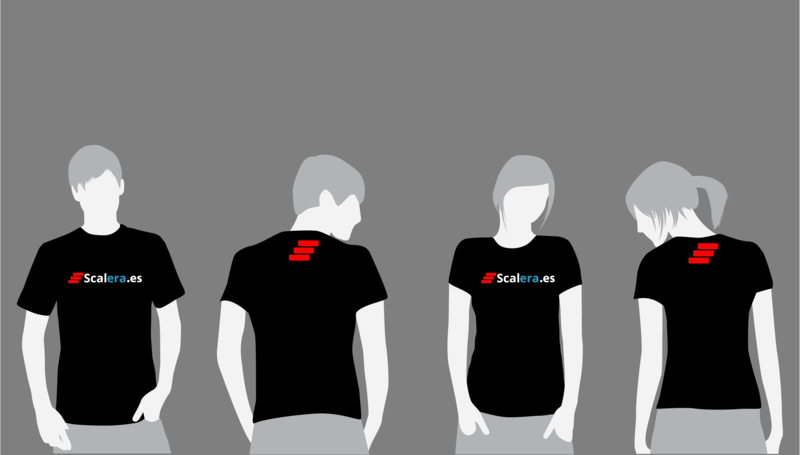 So, if you contribute with at least 3 published posts, we will present a brand new exclusive casual Scalera’s staff tshirt to you. Si cumples los básicos requisitos del puzzle (edad de 0 a 99+) y tienes conocimientos sobre Scala e ideas locas que contar a los demás: te estamos buscando. Vista la buena acogida del blog entre la gente, nos gustaría haceros aún más partícipes. Es por eso que ponemos en marcha esta iniciativa para buscar colaboradores con ganas de compartir conocimientos, ideas prácticas, soluciones a problemas comunes sobre Scala y su ecosistema. Si contribuyes al blog con al menos 3 posts publicados, te obsequiaremos con la exclusiva, a la par que casual, camiseta del staff de Scalera. We’ve been having a look at all published posts so far and, after a hard restoring process, he have remastered them full HD with a spoonful of english (our thanks to @mmartinbarr 😀 ). What we have in mind is going on publishing in both languages, our mother language Castilian and Shakespeare’s language, offering all of our extensive knowledge about Scala.